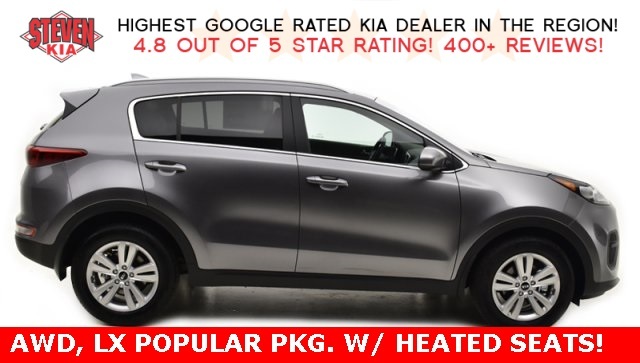 This Kia Sportage LX is available exclusively at Steven KIA! Whichever road you choose, the Sportage is more than ready. 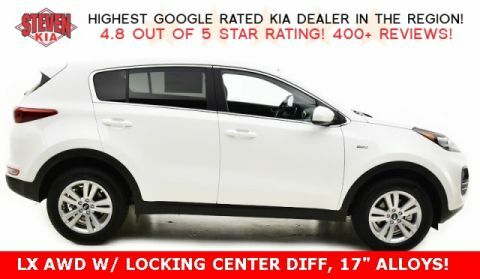 With agile handling, an exceptionally smooth ride, and a range of first-class features, every drive is more fun. Experience driving exhilaration. 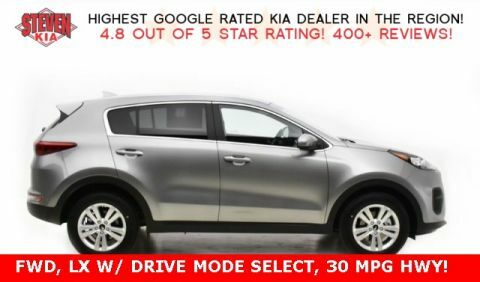 The Sportage LX and EX offer impressive acceleration thanks to their 182-horsepower 2.4-liter Gasoline Direct Injection (GDI) engine. 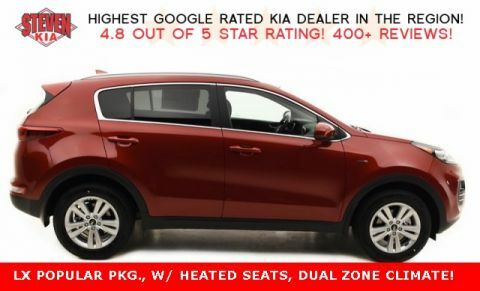 For even more driving fun, choose the Sportage SX, with a turbocharged 260-horsepower 2.0-liter GDI engine.